The Compact Waterproof Data Logger TR-5i is manufactured by T&D Corporation. The device t is designed and manufactured to be dust-proof and waterproof. The product can be utilized and can be applied in dangerous environmental conditions. It is engineered to measure and record temperatures. Its voltage rates range from 4-20 mA. The sensor utilized is thermistor, while the measurement units can either be in °C or °F. 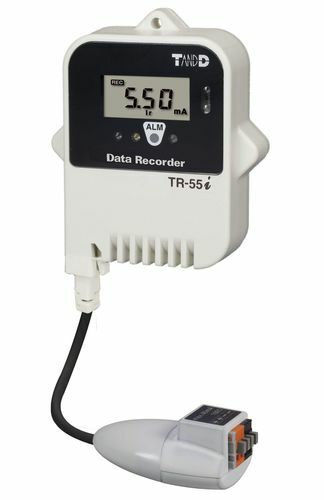 The measurement ranges from -40°C to 155°C. The overall dimension of the product measures 62 mm x 47 mm x 19 mm, excluding the protrusions and sensor. Its weight approximates at 54 g to 55 g.